More often than not, our Mother's get too busy that they forget to take care of themselves. They are too busy preparing food, working for the family, taking care of the kids, attending to the needs of the family, going to the grocery, beautifying the house and a lot more! My Mom is a guilty offender of that. Sometimes, I look at her and feel that she now neglects her self. 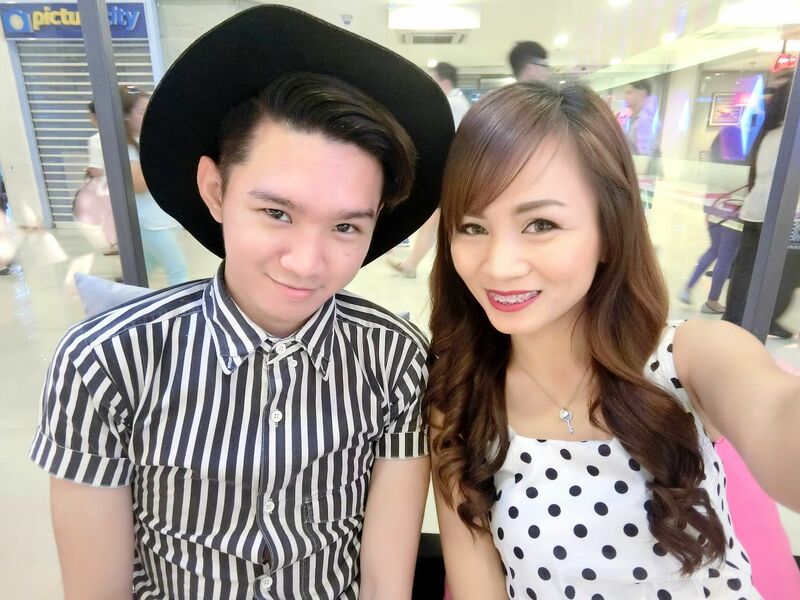 When I was younger, she used to be so vain but the vanity slowly fades as she gets older. I even feel guilty sometimes when I pamper myself and buy myself expensive stuff and then I see her at home, looking plain and dull. Thankfully, Flawless came to the rescue! 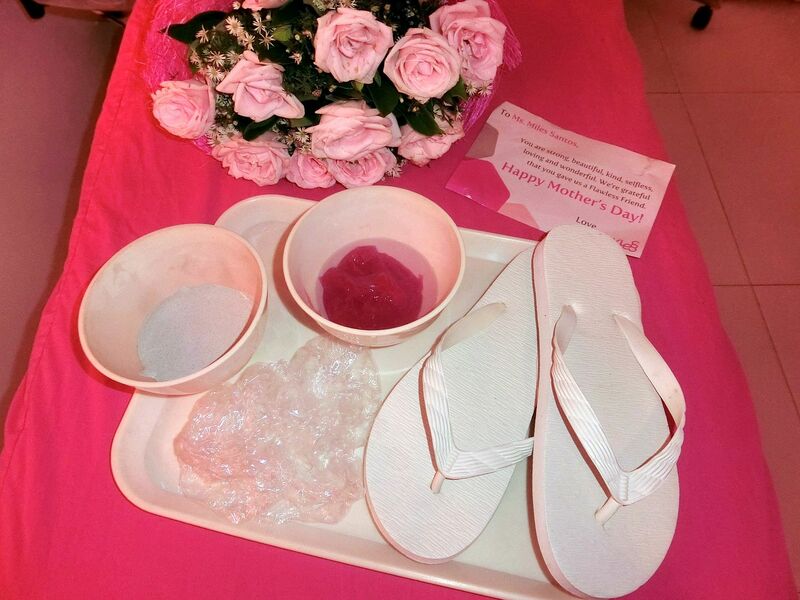 They had this awesome idea to pamper my Mom on Mother's Day! 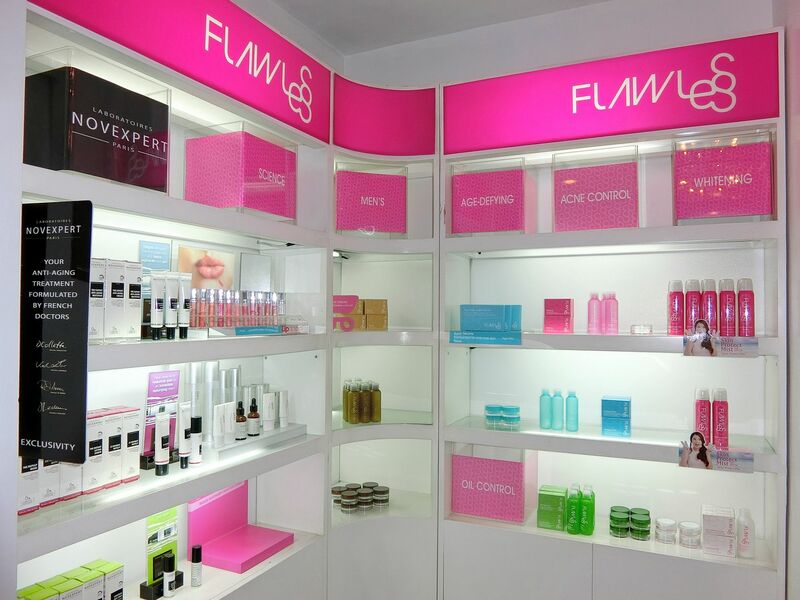 Flawless is the country's preferred aesthetic beauty clinic for face and skin. They were also the reason behind my flawless skin now. They took care of my skin when I had the severe acne breakout a few years ago. 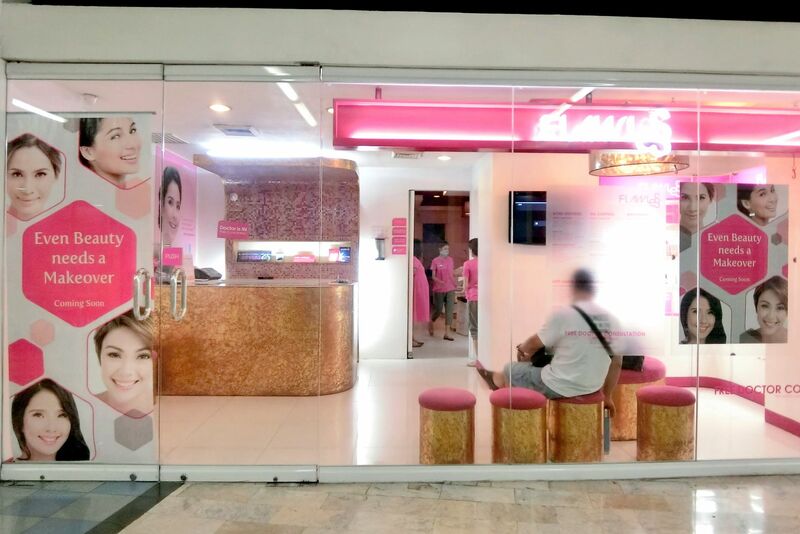 There are lots of Flawless branches in the Philippines. You can check out this link to find a Flawless clinic near you. Actually, Flawless and I planned this surprise for my Mom. She thought she was just going to accompany me for my regular Flawless treatment. Little did she know that it was her that was going to get pampered by Flawless. I love the colors that I see! White background and pink everywhere! Anyway, this was our drama. So, my Mom thought that it was me that was going to have a Flawless treatment. But when we got to the clinic, I told her that she's going to have a treatment as well since I need it for my blog. She was then asked to go inside to proceed to her treatment room. 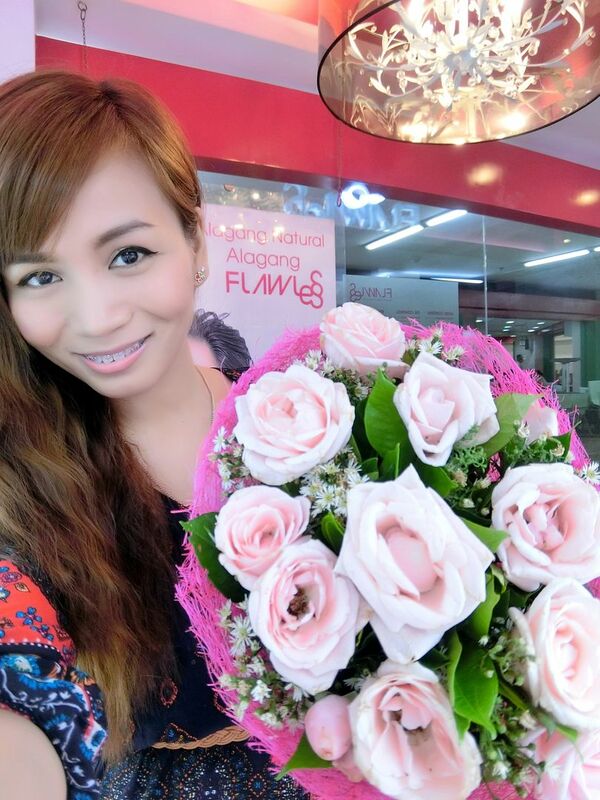 When she go there, a beautiful bouquet of pink roses, a Flawless purse plus a sweet note from Flawless welcomed her. 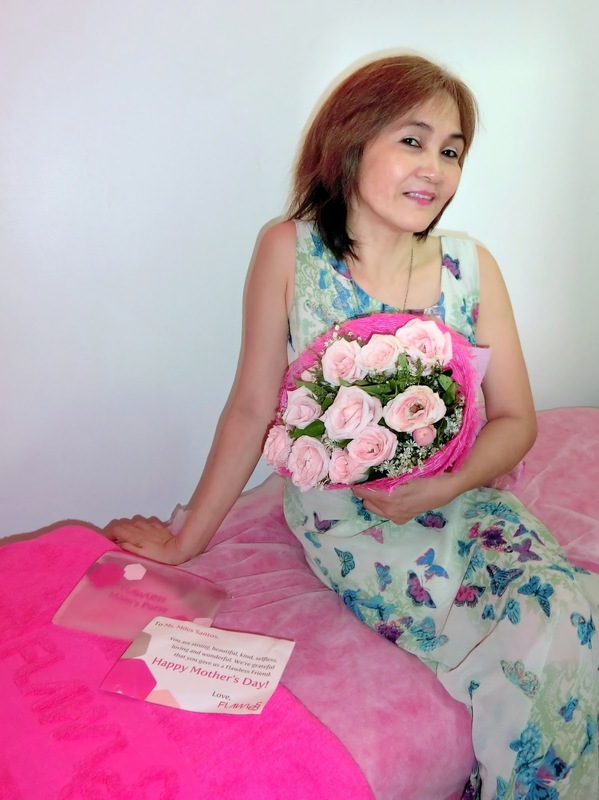 She was so thrilled to see the pink roses on her bed. Don't you guys love it when you prepare something for your Mom and then she ends up appreciating it? The look on her face tells that she loves her bouquet so much! Please check out this short video I took! I asked her if it was her first time to ever receive this kind of bouquet. She said it was indeed her first time. Aww! I'm so grateful to Flawless for coming up with this surprise for my Mom! Her first treatment was a relaxing Body Scrub. This is one of Flawless' most popular services. This treatment removes dead, dry and rough skin, evens out skin tone and improves skin texture therefore leaving a natural glow. It also restores the luster to dehydrated skin and invigorates dulled senses, leaving skin feeling smooth and younger looking. This time, she had the White Advanced Facial. This facial restores the balance of the skin look through moisturizing and smoothening for a crystal clear and rosy complexion. The results include a noticeably brighter complexion, a more even skin tone, transparency in old acne scars and discoloration from the sun. 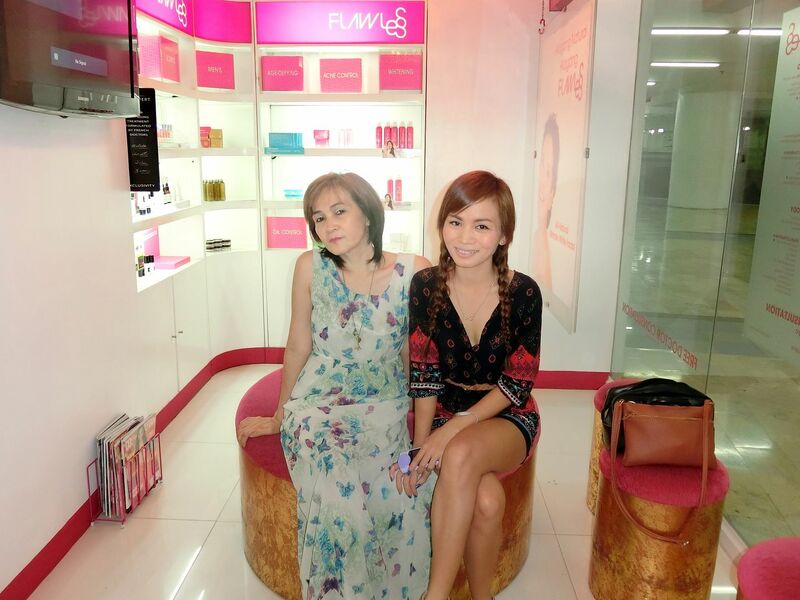 Thanks Flawless' attendant that day, Hana, for making my Mom feel pampered and relaxed! That is my Mom's Blogger-face pose. 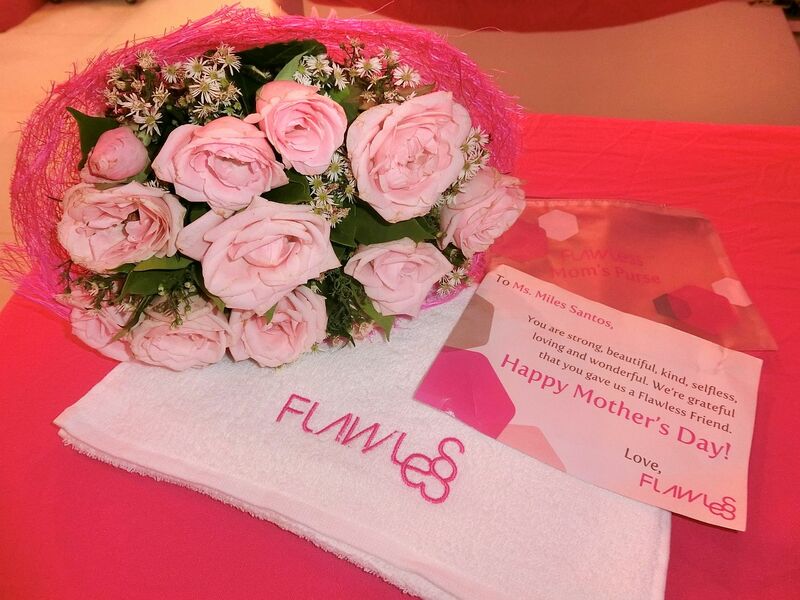 Hehe I want to thank Flawless for this Mother's Day surprise for my Mom. So how did you treat your Mom last Mother's day? If you haven't yet, it's never too late! In fact, it doesn't have to be Mother's Day just to take you Mom out. If you are a Mom yourself then you also deserve to be pampered! 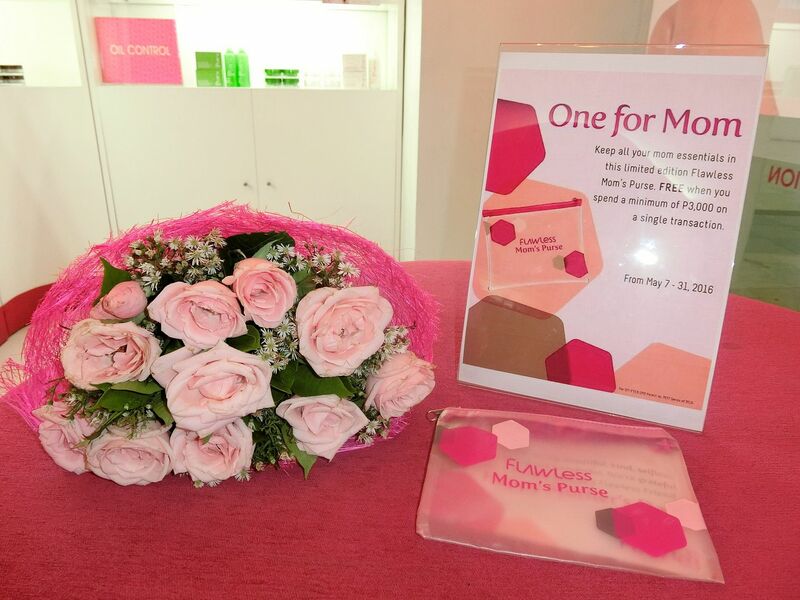 Also, if you visit any Flawless branch now until May 31, 2016 and spend a minimum of Php3,000 on a single transaction, you will also get this Flawless Mom's Purse! Yay! Happy Mother's Day to my Mommy! Happy Mother's Day to all the Moms out there! I know a have a lot of Mommy readers so this greeting goes out to all of you beautiful Mommies! Virtual hugs and kisses for you, my ladies!